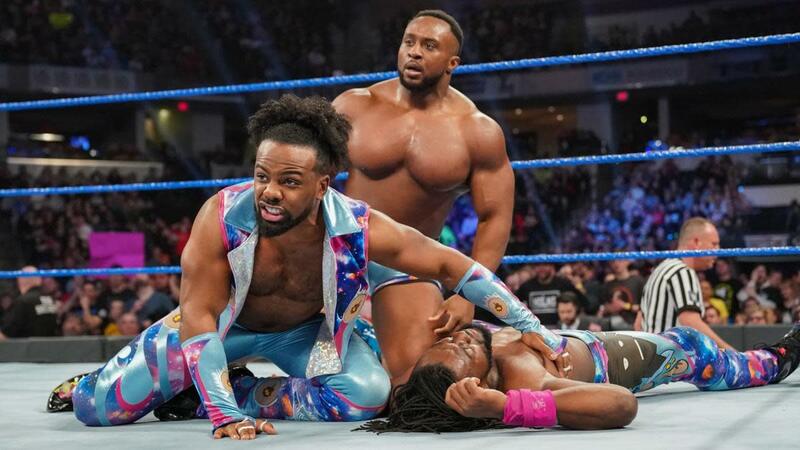 Kofi Kingston defeated the five other wrestlers he was scheduled to face in last night's gauntlet match, but the deck still continued to be stacked against him. After Kingston made it through Sheamus, Cesaro, Rowan, Samoa Joe, and Randy Orton, Vince McMahon came out and added Daniel Bryan to the match. And with Bryan pinning Kingston, Kingston's road to WrestleMania storyline will continue into next week. Also on SmackDown, Becky Lynch and Charlotte Flair's appearance on the KO Show led to a brawl, Peyton Royce & Billie Kay defeated Women's Tag Team Champions Sasha Banks & Bayley in a non-title match, and The Miz responded to Shane McMahon ahead of their match at WrestleMania.